Sorry for the lack of posts guys, I've been busy getting back into school. 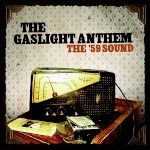 I love to hear Gaslight play the old stuff live, especially if they've played it very recently. I haven't heard them play this song in a while. It's great to hear it again! I was there at that show. It was Thursday @ terminal 5. I know it was Thursday because that 7 foot security gaurd kept standing in front of me. I remembered how awesome that song was live,and don't worry that whole show is coming out on DVD. jonester wrote: I was there at that show. It was Thursday @ terminal 5. I know it was Thursday because that 7 foot security gaurd kept standing in front of me. I remembered how awesome that song was live,and don't worry that whole show is coming out on DVD. That's good to hear, I've been wondering if they had any DVDs of their concerts out yet.